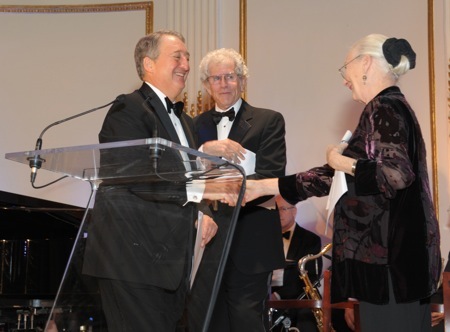 On October 25, 2011, the American Skin Association (ASA) honored a leading group of physicians and scientists at its 14th Annual Gala. The distinguished researchers have made groundbreaking discoveries and significant contributions in the field of dermatology and the treatment of skin cancer. Journalist Deborah Norville received the organization’s Education Award. Ms. Norville was selected because of her professional accomplishments as anchor of Inside Edition and a best-selling author. She was also recognized because of her work on behalf of numerous charities, including the Broadcasters Foundation of America and the Girl Scouts Council of Greater New York. 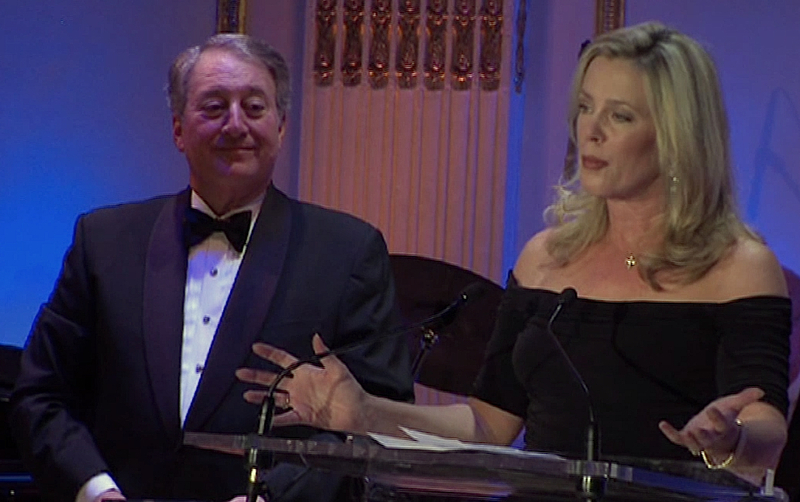 In Deborah Norville’s remarks accepting the award, she noted Milstein’s many achievements and contributions: “You’ve made it your life’s work not only to build businesses — in finance and real estate and technology and sports and the arts — but in the process you’ve provided employment to thousands of Americans, so they can support their families, and they too can find ways to give back, as you have done and your family has done so spectacularly in this city. “You have made your mark in the field of philanthropy, from the New York Blood Center — where your National Cord Blood Center has, I have no doubt, saved lives, because we know how important that is — to your leadership role with the 9/11 Memorial, where many of us have had the opportunity to go down and see what a spectacular oasis has been created. It is a place of calm, of hope, of memories, and also of optimism, at a place where so much heartbreak and so much sadness had once been. And of course your long dedication to the American Skin Association. 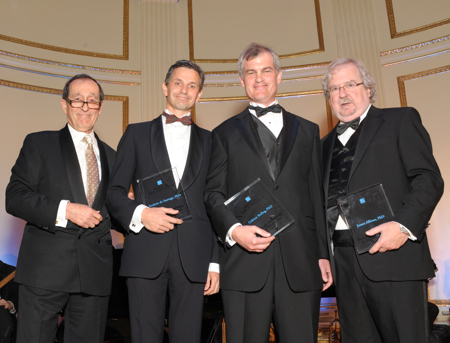 For Breakthrough Achievements in Translational Cancer Research, ASA recognized Dr. James Allison (Memorial Sloan-Kettering Cancer Center); Gideon Bollag (Plexxikon); and Dr. Frederic de Sauvage (Genentech, Inc.). The ASA Humanitarian Award was presented to Dr. John Parrish of the Center for Integration of Medicine and Innovative Technology, Harvard Medical School. ASA honored Dr. James Graham, formerly of Temple University, the University of California and the Armed Forces Institute of Pathology, among other affiliations, and Dr. John Strauss, of the University of Iowa, for their lifetime achievements in dermatology. The awards were presented by well-regarded physicians in the field of dermatology, and the event’s masters of ceremonies were Broadway legends Rosemary Harris and Tony Roberts. Howard Milstein with Tony Roberts (center) and Rosemary Harris (right), masters of ceremonies at American Skin Association’s Annual Gala. American Skin Association is a collaboration of patients, families, advocates, physicians and scientists with a mission to advance research, champion skin health — particularly among children — and drive public awareness about skin disease. ASA’s education program provides free instruction in skin health and sun safety to more than 12 million young people, teachers and parents across the United States. In addition to raising funds for skin disease research, ASA’s Gala helps underwrite educational outreach programs for students. 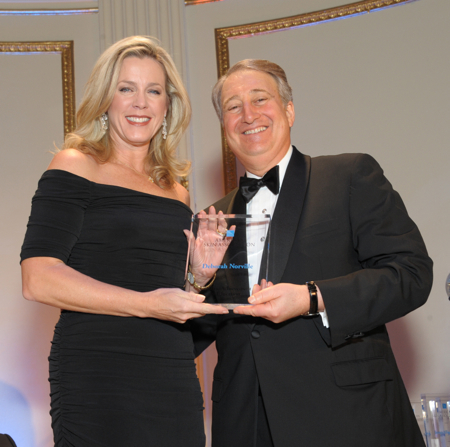 Howard Milstein presented Deborah Norville with American Skin Association's Education Award.